Herbert George Wells (1866-1946), usually referred to as H. G. Wells, was an English author. He was prolific in many genres, writing dozens of novels, short stories, and works of social commentary, satire, biography, and autobiography, including even two books on war games. He is now best remembered as a founder of the science fiction genre. 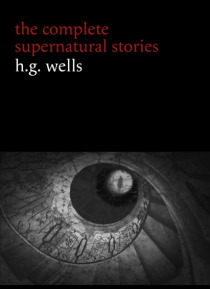 Wells also wrote supernatural tales and strange fantasie… s, such as "e;Pollock and the Porroh Man"e; (1895), "e;The Red Room"e; (1897), "e;The Stolen Body"e; (1898), "e;The Door in the Wall"e; (1911) and "e;A Dream of Armageddon"e; (1911).